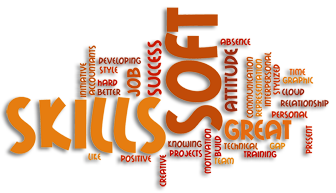 These 14 eLearning modules on Lifelong Soft Skills are to provide a universally accessible soft skills training resource for the Michigan workforce for basic and foundational skills for the workplace, to help ensure the workforce is ready to succeed in the 21st century. The goal of this Lifelong Soft Skills eLearning series is to raise awareness among students and employees about key skills needed for workplace success. It encourages and suggests attributes that employers are looking for, and is not intended to address employer practices or labor management relations. How to be approachable, authentic, and open to alternate ideas/approaches. This is a great place to start. This module includes a DiSC personality profile assessment which will be helpful to the rest of your Soft Skills eLearning experience. Communication styles and techniques; appropriate use of different communication methods. Including an assessment to identify your preferred communication style. Managing conflict and identifying your conflict management approach. Includes an assessment of your conflict management style. Identify your core values and how they contribute to your ethical character. Including an assessment exercise that helps you reveal your core values. How to make good decisions and exercise workplace appropriate personal judgment. Appropriate social behaviors in the workplace. Includes an assessment about how well you control your impulses in situations of personal judgment. Basic problem solving techniques to help be part of the solution. The assessment included evaluates your problem solving skills. Ways to manage your time wisely and avoid procrastination. Including an assessment to determine how well you manage your time. Recognizing and appreciating the importance of diversity and inclusion in the workplace and beyond. Including an assessment that reveals how you consider aspects of diversity and inclusion. The importance of self-confidence and taking responsibility for and pride in ourselves. Including an assessment of your level of self-confidence. Techniques for working well with a team of others toward a common goal. Including an assessment about how well you work in a team environment. Approaching work with a positive attitude and displaying this to co-workers and customers alike. Including a self-assessment revealing your attitude. Learn how initiative and being proactive can lead to opportunity. This module includes an initiative profile assessment. Recognize that change is a normal part of work, and understanding how to accept change gracefully and participate in change efforts. Including an assessment of your tolerance of ambiguity. Being productive, reliable, diligent and loyal to organization’s purpose, mission, and values. Includes a personal work ethic assessment. Please note: videos may not be compatible with all devices. 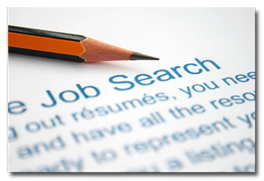 Looking for your first part time job can seem like a daunting task. Get some pointers to get you started.